Come and get high-level training in a privileged environment. 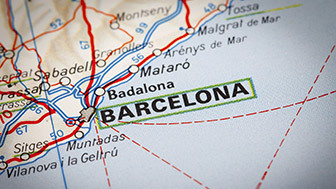 Barcelona will boost your skills and professional opportunities! Established in the sector’s main ranking tables, Barcelona's business schools have a wide variety of courses, ranging from Masters courses inBusiness Administration (MBA) to state-of-the-art training for the business world, personalised courses, postgraduate studies, etc. During the 2015-16 academic year, there were 187,970 students attending Barcelona's 8 universities. They were doing some of the available courses, including degrees and Masters. A world of possibilities run by great professionals. Intermediate vocational education training focuses on the placement of future workers into the job market as experts. The objective is to provide students with the necessary practical knowledge to carry out their chosen profession. They are divided into four branches: music, plastic arts and design, dance and dramatic art, although it is also worth noting the creation of video games, i cinema and audiovisual studies and circus training, three specialities that are also increasingly popular. 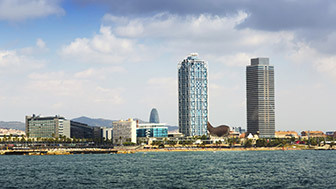 Barcelona has become a top venue in the world of sport. We don't mean just for currently active elite sportsmen and women, but also for people who run sporting organisations, as well as those who promote physical activities. In every story, every person. Come and experience it, and fall in love.